The Society "Friends of Akhal-Teke" is created by the Bulgarian-Turkmenistan Chamber of Industry and Commerce, based on the wide interest shown in Bulgaria to this ancient and heavenly breed of horses. The Society is non-governmental, independent, voluntary, non-religious, non-political, built on a broad public basis and has openstatus. The Society's operations are conducted in accordance with its Statute, consistent with the laws and international treaties of the Republic of Bulgaria. The main objective of the Bulgarian Society "Friends of Akhal-Teke" is to popularize, preserve, appreciate and protect this rare breed of horse - known as Akhal-Teke and its precious gene pool, and also, to be responsible for presenting and introducing this exceptional breed horses to the lovers of equestrian activity in Bulgaria and around the world. 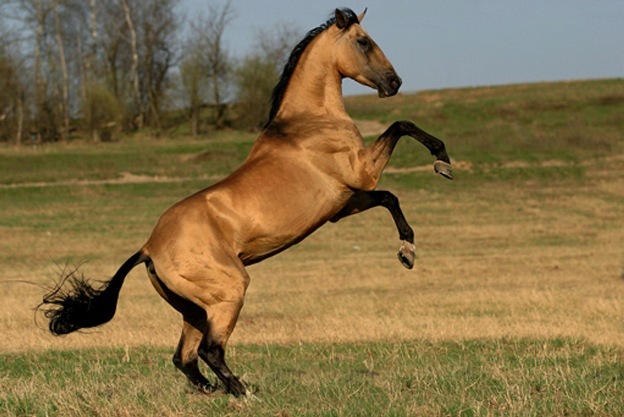 - Supports through suggestions and opinions to the relevant government authorities in the development and updating of laws and regulations related to the development of the equestrian sports and Tourism in Bulgaria, licensing and classification of equestrian centers, technical standards, veterinary requirements, insurance safety, welfare of horses, etc., having a direct role in promoting Akhal-teke horses in Bulgaria. - Develops together with the similar chambers and associations, government and public organizations to support and protect interests of members of the Society.